Welcome to the Coronado’s Pool Renovations blog. If you are here because you’re familiar with our excellent service or reputation, great! If you’ve never heard of us before, even better! 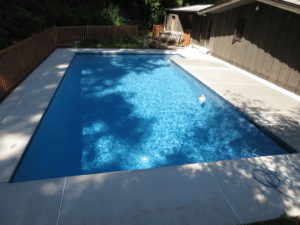 We’re a company of local Delaware County pool finishing experts with a passion for our community. But with a variety of expertise among our members, we are also known for our repairs, renovations, preparations and more. We are an old-fashioned business with strong ideals and a true desire to please our clients. We never subcontract our work, because we care to ensure that you always receive the highest degree of professional service from our masons. We offer the best warranties available on the market because we have nothing to fear – our projects are made to last. We hold an A+ rating from the Better Business Bureau because we take pride in what we do and always follow through with results. So read on happily, knowing you are in good hands! As pool finishing experts, we take our finishes very seriously. Hire Coronado’s for that job, and you will have no shortage of options to choose from for the inner surface of your pool. There are so many great options to choose from that it can be dizzying at times. So let’s take a moment to slow down and look at the particular benefits of one of our most beautiful finishes, Mother of Pearl. A wonderful variety of smooth stones from around the world give Mother of Pearl a unique blend of colors. It is incredibly versatile, and can also be used in other outdoor implements, such as waterfalls, beach entries and fountains. As an aggregate finish, it is naturally immune to chemical stains. The Cobalt Blue of Mother of Pearl finishes is resistant to fading from UV/chemical exposure. To find out more info about the illustrious Mother of Pearl finish, please visit the dedicated Mother of Pearl page on our website. Looking to upgrade your pool finish to Mother of Pearl? Looking for advice on other finishes? Get in touch with Coronado’s Pool Renovations, Inc. We will even provide you with a free consultation and estimate for your effort!